Potted Cyclamen is now in season. 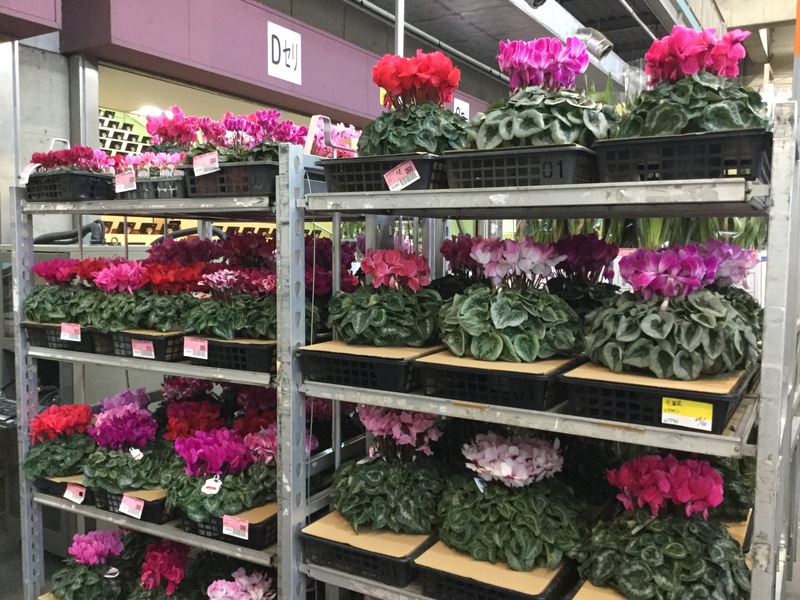 So many Cyclamens are gathering to Ota Floriculture Auction Market. 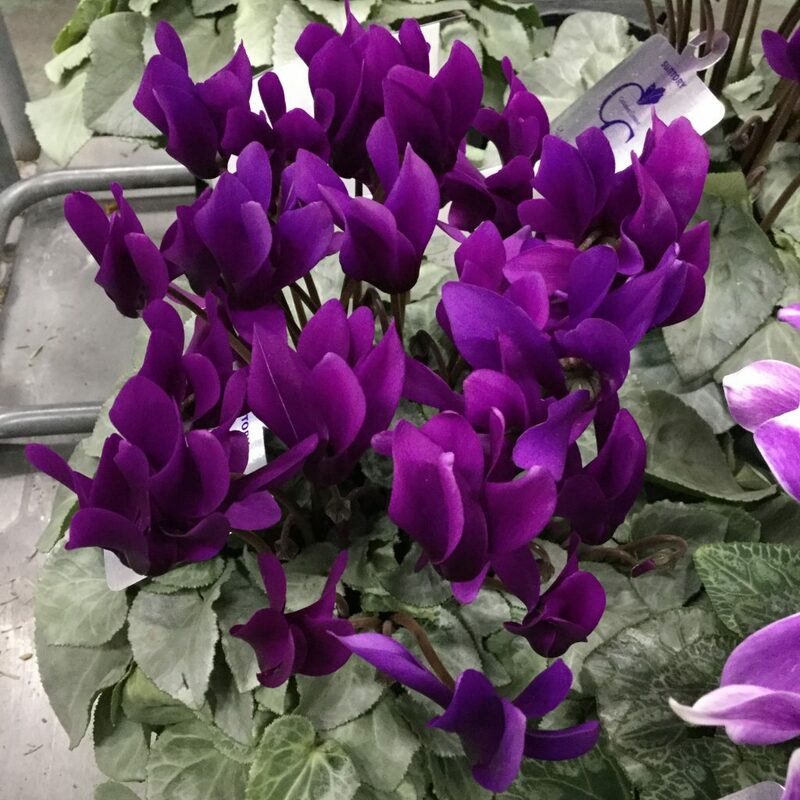 Cyclamen is good to enjoy in winter, because it is tolerant to coldness.We call Cyclamen “Kagaribi-bana”. It literally means bonfire-flower, because it looks like burning bonfire in its shape and color. 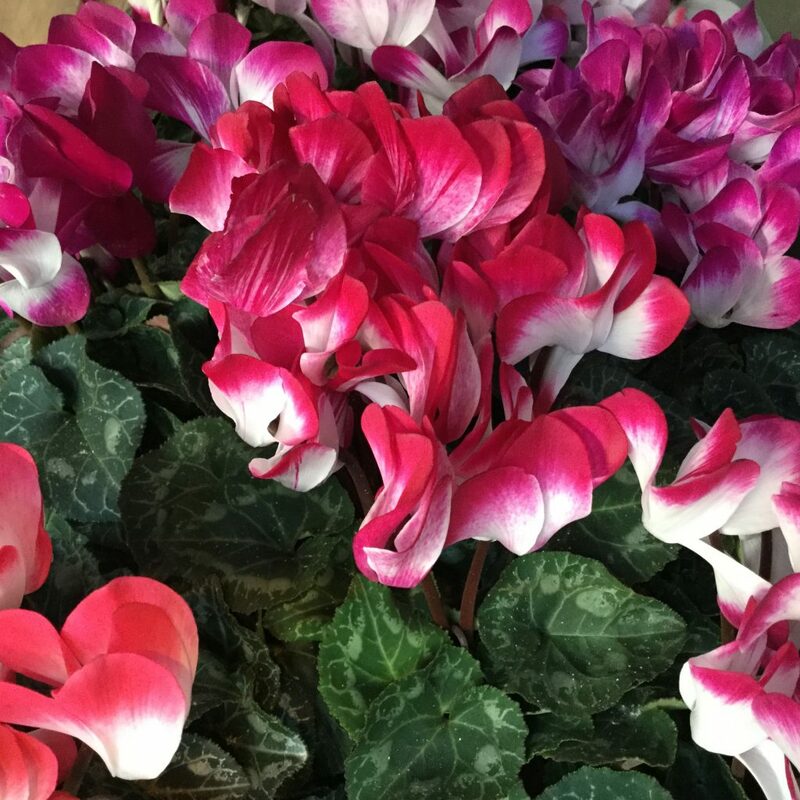 Cyclamen is rich in colors like red, pink, white and even purple! 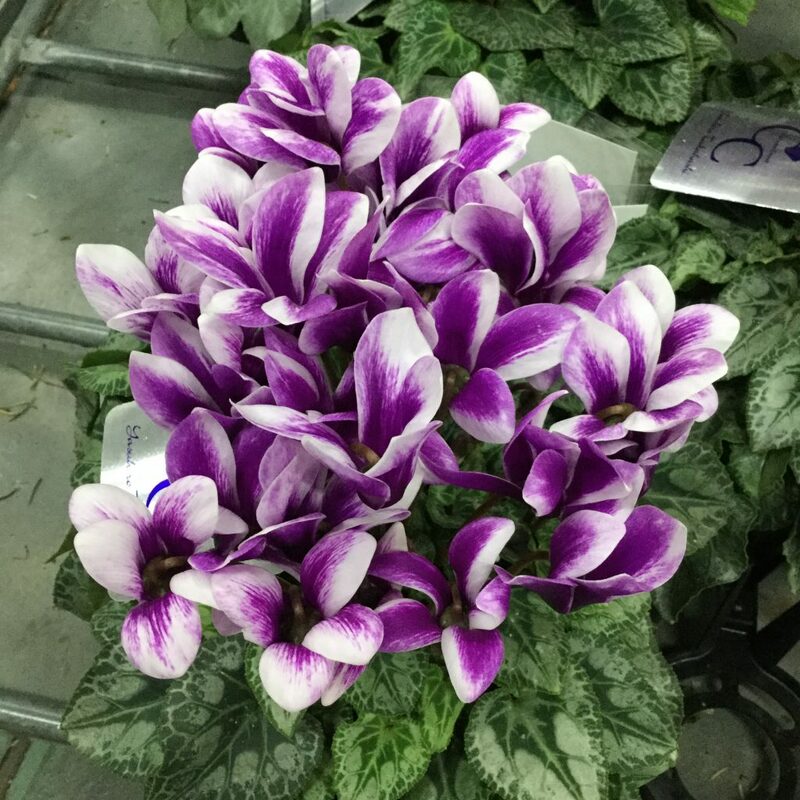 Genetically-modified blue(purple) Cyclamen is now available at the market.